Check out our other crafts made from stones and rocks. Cut up crepe paper into tiny pieces. 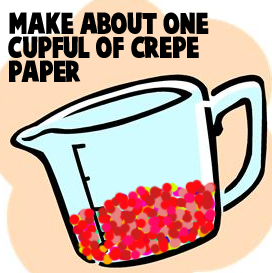 Make about one cupful of crepe paper. 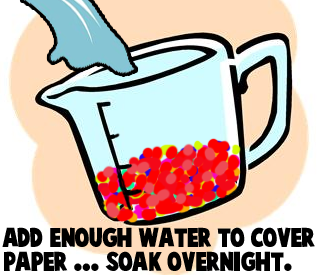 Add enough water to cover paper… soak overnight. 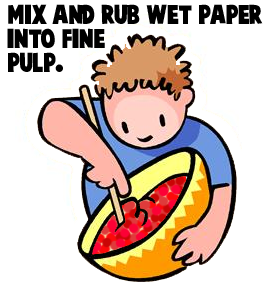 Mix and rub wet paper into into fine pulp. 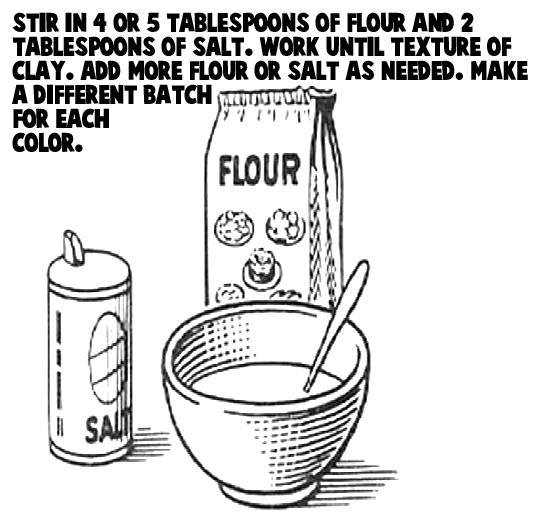 Mix in 4 or 5 tablespoons of flour and 2 tablespoons of salt. Work until texture of clay. Add more flour or salt as needed. Make a different batch for each color. Use the mixture as if it were clay. 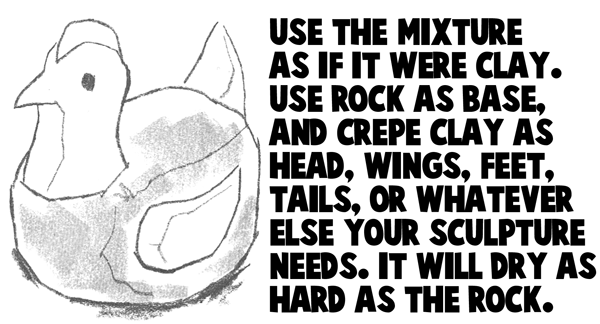 Use rock as base, and crepe clay as head, wings, feet, tails, or whatever else your sculpture needs. It will dry as hard as the rock. And, there you have it. 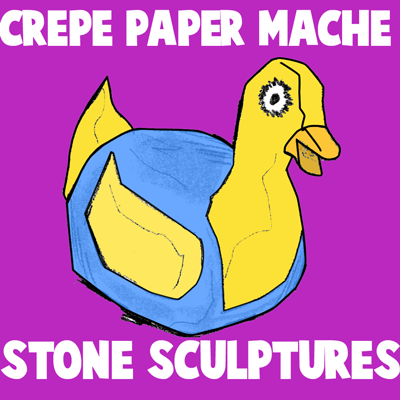 A great way to mold many different items simply by making Crepe Paper Mache Rock Sculptures. 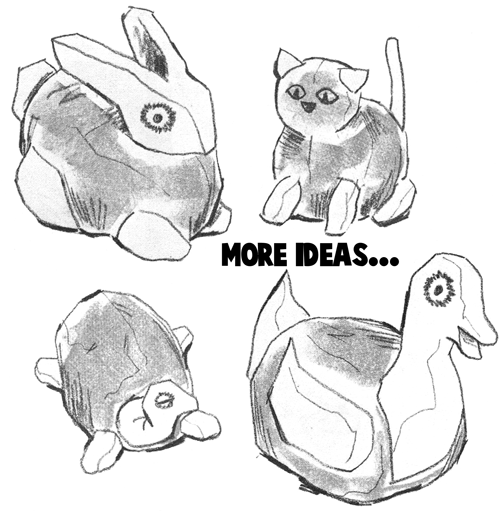 What did you land up sculpting? Let me know in the comments below. And, don’t forget to take a picture of your item as well…. you can add the picture to the comment. I’d love to see it.